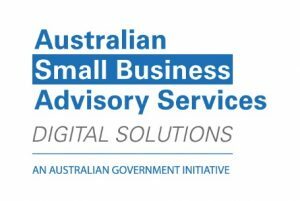 In these terms and conditions, “we” “us” and “our” refers to Digital Business Solutions NSW/ACT. Your access to and use of all information on this website including booking/s is provided subject to the following terms and conditions. The information is intended for residents of Australia only. All prices are in Australian Dollars (AUD) and are exclusive of GST. We endeavour to ensure that our price list is current. Our price list can be accessed from our Services page and we reserve the right to amend our prices at any time. If you have booked for any of the Services and we do not have sufficient slots, we undertake to fulfil your booking at the price listed at the time you booked. We strive to ensure that our services are described as accurately as possible on our website, however we do not warrant that the description is accurate. Where we become aware of any misdescription, we reserve the right to correct any error or omission. Images have been provided for illustrative purposes only and we do not guarantee that given image will reflect or portray the full service or options relating to that service. Our services are available to adults over the age of eighteen (18) years. By proceeding to book through our website, you acknowledge that you are over 18 years of age. We provide the services to customers within Australia only. We endeavour to ensure that our services list is current however we give no undertaking as to the availability of any service advertised on our website. Our terms of payment are set out on the order page. Where a service has been listed with incorrect descriptive information due to typographical error or similar oversight, we reserve the right to cancel a transaction. Where your credit card has been charged, we will immediately refund your credit card for the total amount debited. If a Force Majeure event causing delay continues for more than 14 days, we may terminate this Agreement by giving at least 7 days’ Notice to you. “Force Majeure” means any act, circumstance or omission over which we could not reasonably have exercised control. If you are from the European Economic Area (EEA), our legal basis for collecting and using the personal information described in this agreement depends on the Personal Data we collect and the specific context in which we collect it.